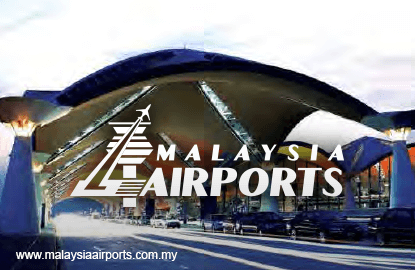 KUALA LUMPUR (Nov 2): Malaysia Airports Holdings Bhd (MAHB) is unperturbed by news of low-cost carrier AirAsia Bhd's plan to move its operations to main terminal KLIA by January 2017 and is encouraged by national carrier Malaysia Airlines Bhd's interest to operate in budget terminal klia2. AirAsia's move to the main terminal from klia2 was reportedly said to be due to lower passenger service charges (PSC) that will take effect next year. AirAsia is MAHB's biggest client at klia2, but the airport operator is unperturbed by the airline's move to the main terminal. It further said any airline is welcome to either its terminal as the two terminals are "essentially one airport". "KLIA and klia2 are part of the same airport network system, essentially one airport, hence we welcome airlines to utilise either terminal that will suit their business model and operational efficiency," said MAHB in a statement today. AirAsia has been locking horns with MAHB on many different issues relating to klia2. The airline's group chief executive officer Tan Sri Tony Fernandes is disgruntled MAHB had splurged RM4 billion to build klia2 instead of a new low-cost carrier terminal (LCCT) which costs less. Meanwhile, MAHB in a statement today said airlines operating at klia2 have benefited from its facilities such as access to a dedicated Runway 3 for taking off and landing which has reduced queuing time, ample gates for overnight parking resulting in operational efficiency and convenience, and shorter taxiing time that saves fuel. MAHB stated it is open to discussing any airline's requirements to switch terminals if it benefit the airlines and the requirements can be accommodated based on availability of capacity at the terminal, such as the case when Malindo Air moved to KLIA to suit its business model to collaborate and code-share with the Middle Eastern airlines. Shares in MAHB closed up 10 sen or 1.55% at RM6.56, bringing the market capitalisation to RM10.88 billion.